Lovers of cooked and cured pork in all its forms were in hog heaven this afternoon, as Cochon 555 hit The Cosmopolitan in all its porcine-perfect glory. It was a much more food-focused event than many of our dine-around festivals — with celebrity chefs taking a back seat to the butchers and sausage makers who are re-defining American charcuterie. A smaller event such as this — probably no more than 600 attendees — allowed for more intricate food, better wines and beers, and a general food-nerd vibe you don’t find at more mass-marketed ones…where whole pigs aren’t broken down and explained in minute, beautiful detail by celebrity butchers (yes, there are such things as celebrity butchers in real food towns) like Blackberry Farms’ Michael Sullivan and Erika Nakamura and Amelia Posada from Lindy & Grundy in Los Angeles. Watching them carve an entire, 275 pound pig into all its edible parts is truly a thing of beauty (but not for the faint hearted). Even better was eating what talented, relatively unheralded chefs like Mark Ladner of New York’s Del Posto, or Stephanie Izard from Chicago’s Girl & the Goat do with all of that sweet, piggy goodness — that was just as comely as the culatello Sullivan carved from a fresh ham. ELV is off to the store now to get some Pellegrino in hopes it will help leech some of the salt and nitrites he consumed from his pores without forming something that looks like this. Hopefully they comeback next year, they should have it on a weekend friday or saturday, and later in the evening. Mark Ladners Sandwich was the best!!! 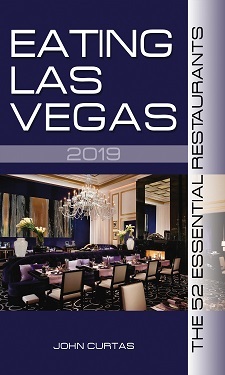 ELV responds: We give (and have given) a lot of love to all of the great Cosmo restaurants over the past seven months. As much as we appreciate them (and the tasty food they put out for Cochon 555), the event wasn’t about them….it was about the chefs and charcutiers who traveled here to strut their stuff. And strut it they did!